Most Star Wars collectibles can be found on the shelves and desks of Star Wars fans all-year long, but some collectibles spend most of the year under wraps — only emerging as a holiday treat for a few weeks out of the year. 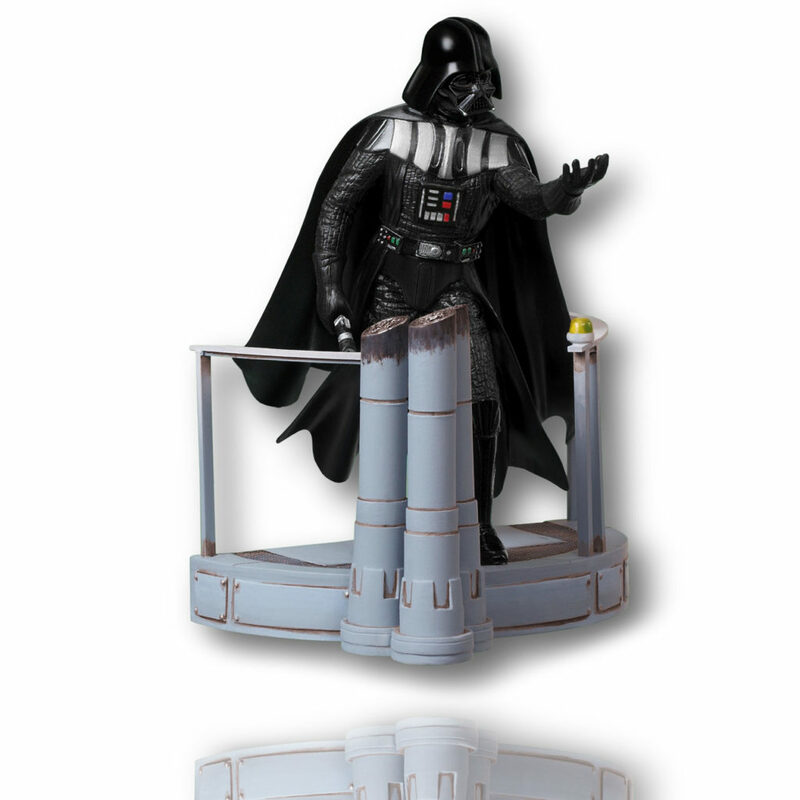 Since 1996, Hallmark has made Star Wars Keepsake Ornaments based on beloved characters, vehicles, and creatures. Here’s a look at just a few of our favorite Star Wars ornaments Hallmark has made over the years. 1. You’ve never heard of the Millennium Falcon? The first Hallmark ornament brought the fastest hunk of junk of the galaxy to your Christmas tree. 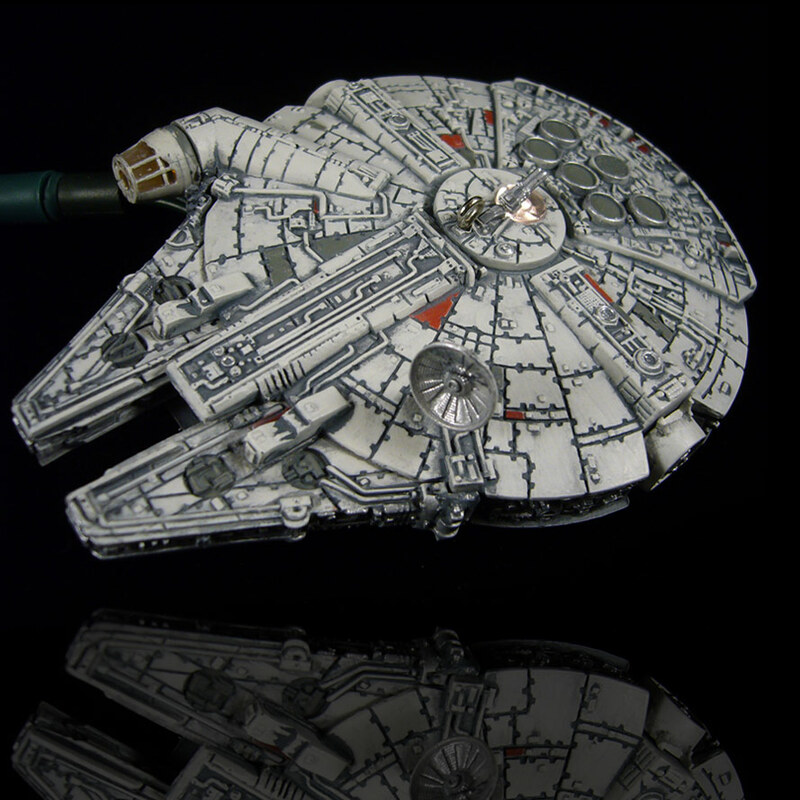 The Millennium Falcon was one of the most identifiable designs from the original trilogy, which made it the perfect choice for one of Hallmark’s initial creations. Since this ornament’s debut, the story of the Falcon, as well as her pilots and crew, have only continued to grow and expand. 2. A couple of clones. 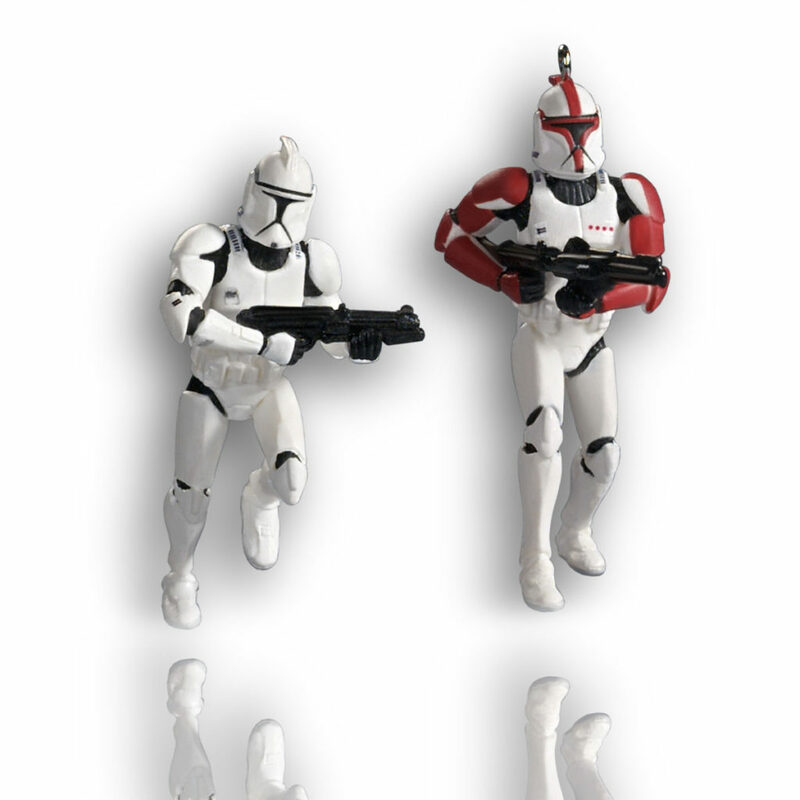 Attack of the Clones debuted in theaters in 2002, and in 2003 Hallmark released a duo of Clone Troopers. 3. A Dark Lord of the Sith. Darth Vader made his Hallmark ornament debut in 1997 where he is shown ominously holding a lightsaber, but a Vader ornament in 2005 actually brought a scene from a Star Wars film to life. No Star Wars fan could forget the first time they saw Darth Vader hold out his hand to Luke Skywalker trying to lure his son to team up in The Empire Strikes Back. This ornament not only combines an iconic character with a classic film location visually, it also plays dialogue from the film in between Vader’s breaths. 4. SkyGuy and Snips. By 2009 Star Wars fans had been introduced to a variety of new characters in the TV series, Star Wars: The Clone Wars. 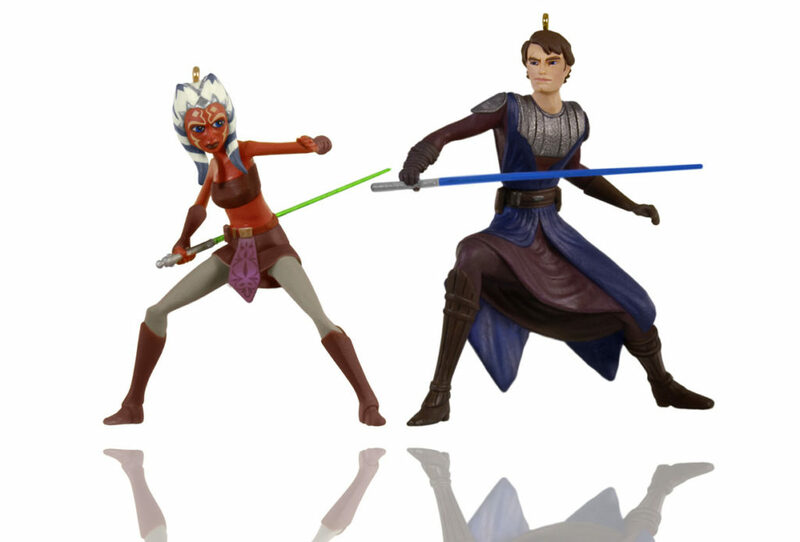 Artists Kristina Kline-Gaughran and Robert Hurlbut brought Anakin Skywalker and his new Padawan Ahsoka Tano to life for this ornament set. Other Hallmark ornaments released this year included A Deadly Duel – which recreated the lightsaber battle between Darth Maul, Qui-Gon Jinn, and Obi-Wan Kenobi at the end of The Phantom Menace. 5. A smooth scoundrel. Some Christmas trees need something a little extra to stand out. 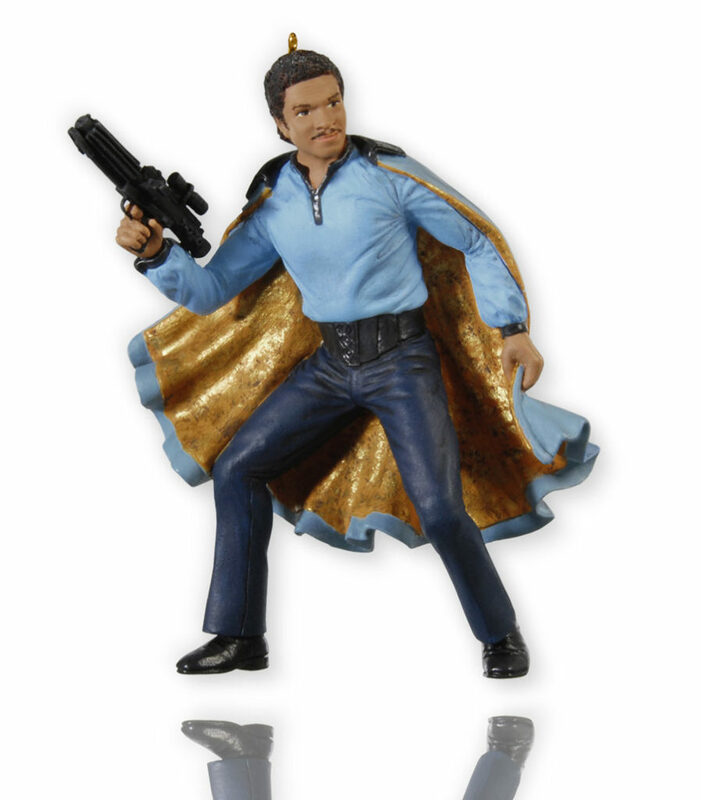 For holiday shoppers looking for a little sparkle and a lot of style, this 2010 Lando Calrissian ornament worked like a charm. The lights on your tree reflecting on the gold lining of Lando’s cape will surely make him the envy of his fellow ornaments. 6. A cantina patron. Alien species and creatures have always been a big a part of the Star Wars universe and Hallmark has created many ornaments to celebrate them. Ewoks, Chewbacca, Bossk, and the Max Rebo Band have all gotten the ornament treatment over the years. 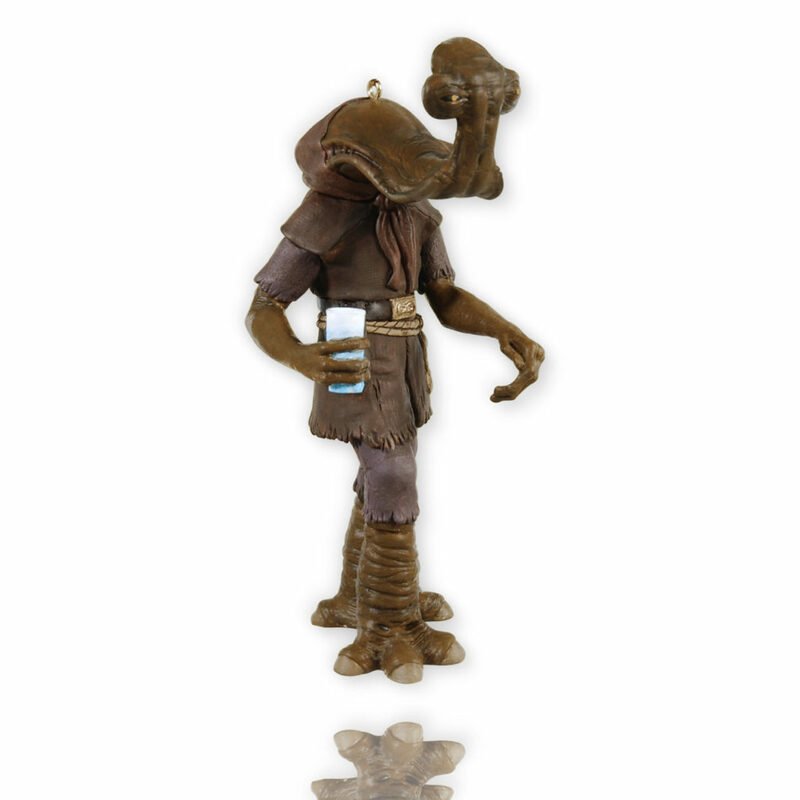 In 2012, Momaw Nadon, the Ithorian who appeared in the Mos Eisley Cantina in A New Hope, made his ornament debut, complete with a blue beverage. 7. “On my command…” Captain Phasma is impossible to ignore in any scene where she appears, on film or in episodes of Star Wars Resistance. 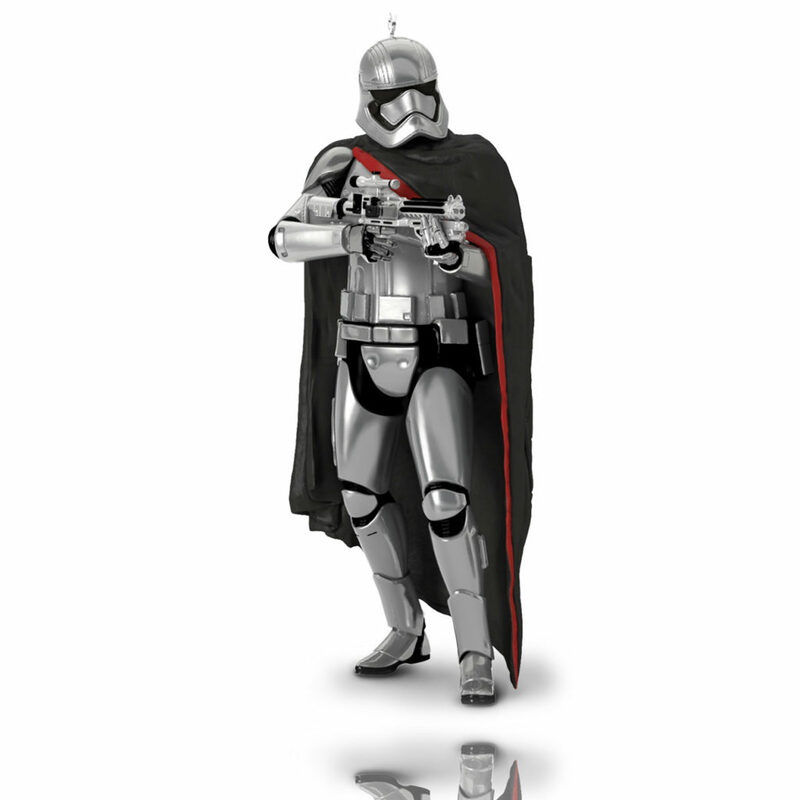 Phasma’s ornament was released in 2015, the same year The Force Awakens debuted, and her chromium armor is also quite the attention grabber. 8. R2-D2, it is you! It is you! 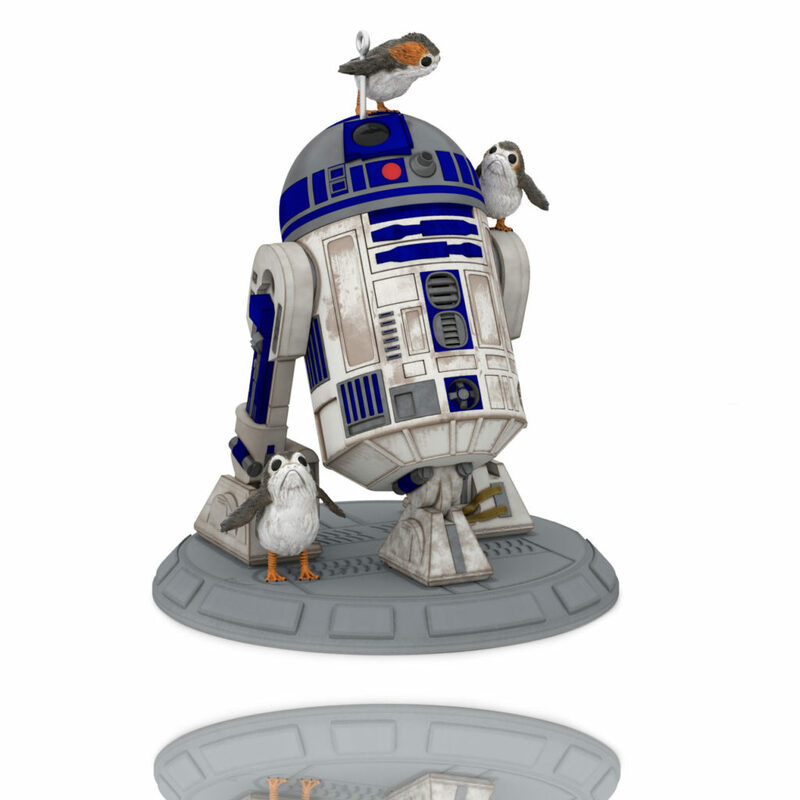 R2-D2 is surrounded by porgs in one of this year’s new Hallmark ornaments. It’s a whimsical and lighthearted combination of a classic droid who has appeared in Star Wars stories for decades and the adorable creatures that debuted last year in The Last Jedi. What Star Wars ornament would you like to hang on your Christmas tree? Let us know in the comments below. Amy Richau is a writer, lifelong Star Wars geek, and diehard Denver Broncos fan. You can find her on Twitter @amyrichau and more of her writing on FANgirl Blog.